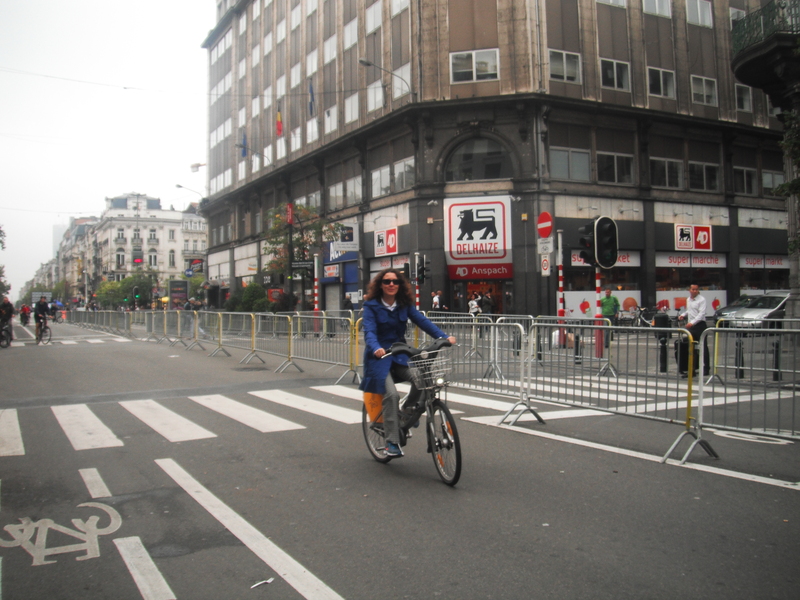 This has not been my first car free day in Brussels but what made a huge difference was that this time I managed to get a bike. Having had the experience of previous editions I had been aware that timing was crucial. So already at 10 am a friend of mine and I were at the nearby Villo! stand ready to rent our first ever municipal bicycles. 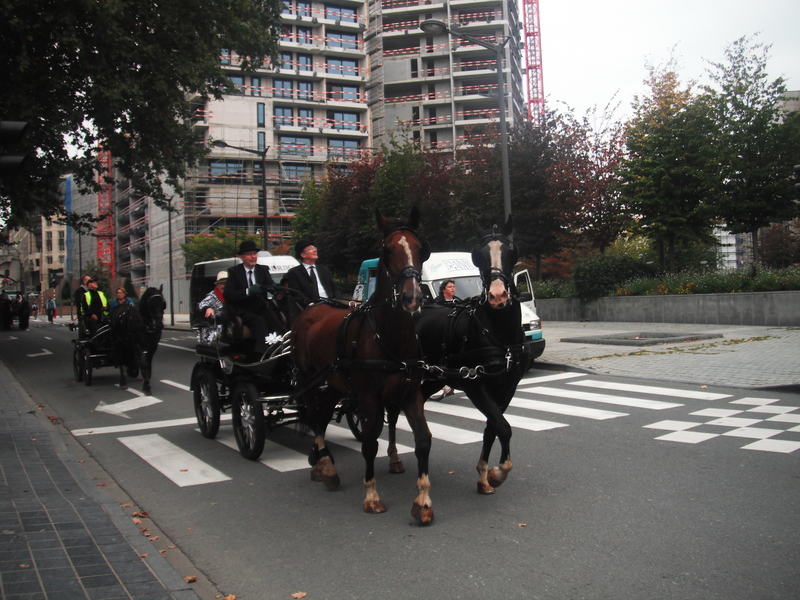 The procedure was easy to follow and soon after we were fully merged into experiencing Brussels as cyclists in exceptionally favourable conditions. Only the weather was gray and cool and we were afraid that it might start raining. In this case however the risk won. It not only didn’t rain but, as it often happens here, the sky cleared up and, as the day was progressing, we were even blessed with a few sunny moments. 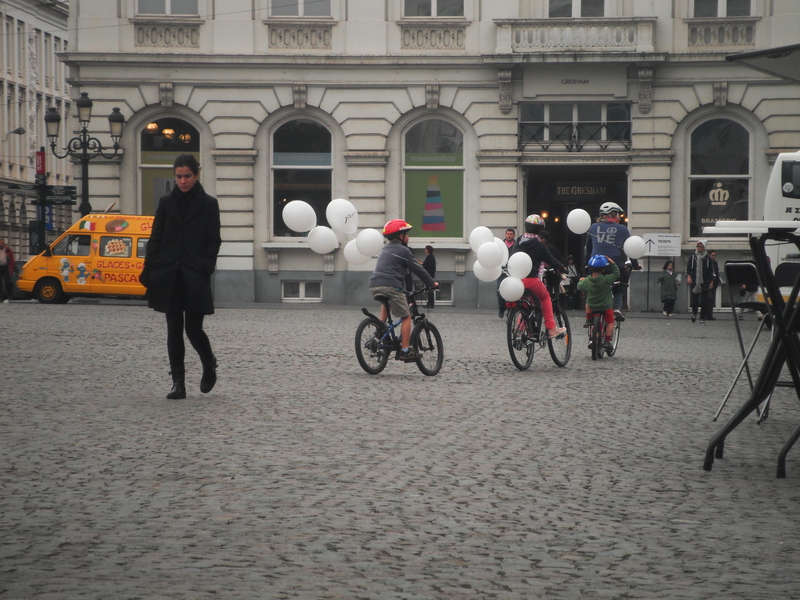 Initially, we turned towards the old town but its cobbled streets were not very comfortable for cycling. The tourist crowd was not helping either. We crossed Grand Place and took the way to Blvd. Anspach. If not conquer it now, then when? Cycling up the boulevard was not easy though. I had to stop once in a while to take breath and get mobilised for the next section. Reaching the Centre for Fine Arts we had Spanish sweets churros which gave us the energy to continue. 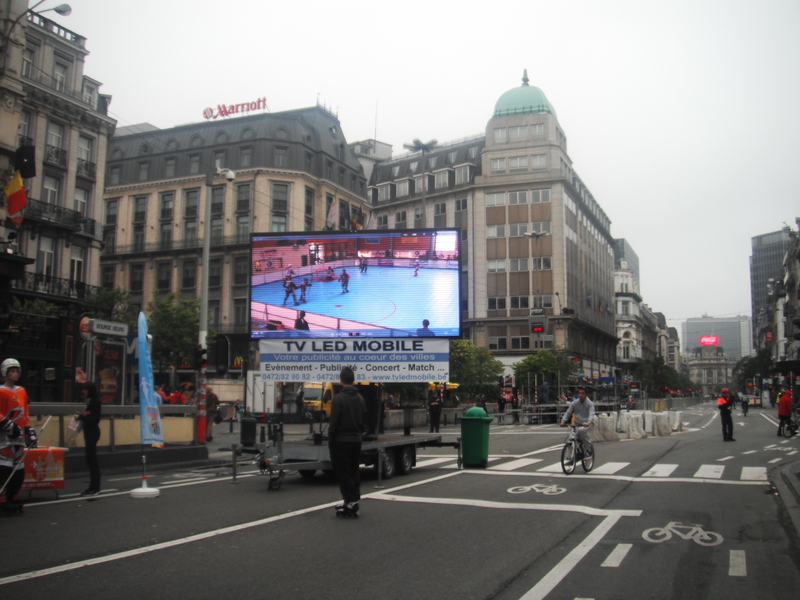 There were initiatives with live music, sports and other entertainment activities in different spots of the city. 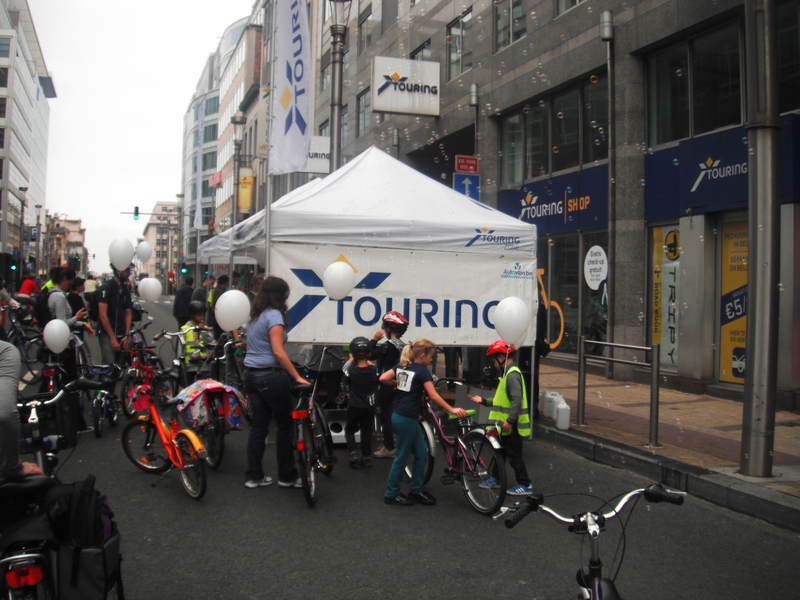 Cyclists, skaters and roller skaters were celebrating their exceptional possession of Brussels centre. Flagey was our final cycling destination. 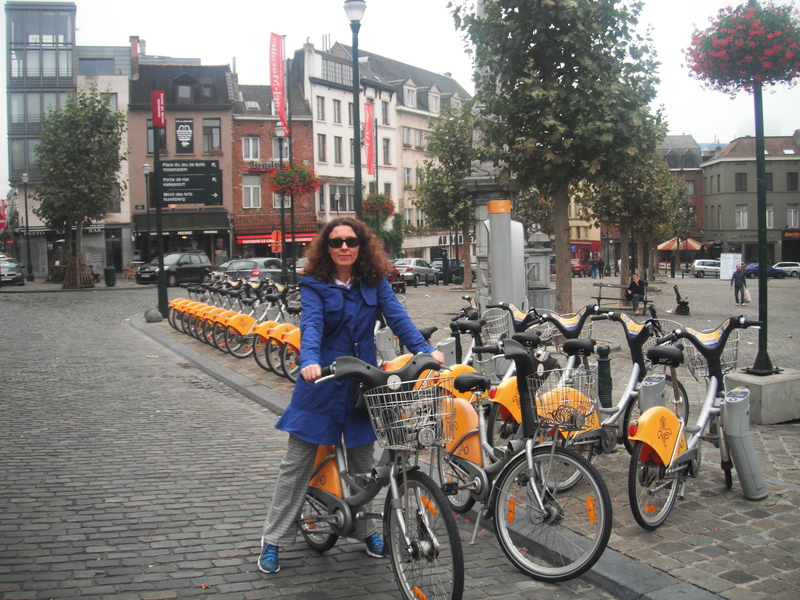 We left our bikes at the terminal there and enjoyed the delicious soups of Cafe Belga and the French wines offered at the regular weekend market. What a better way to finish a sportive day? 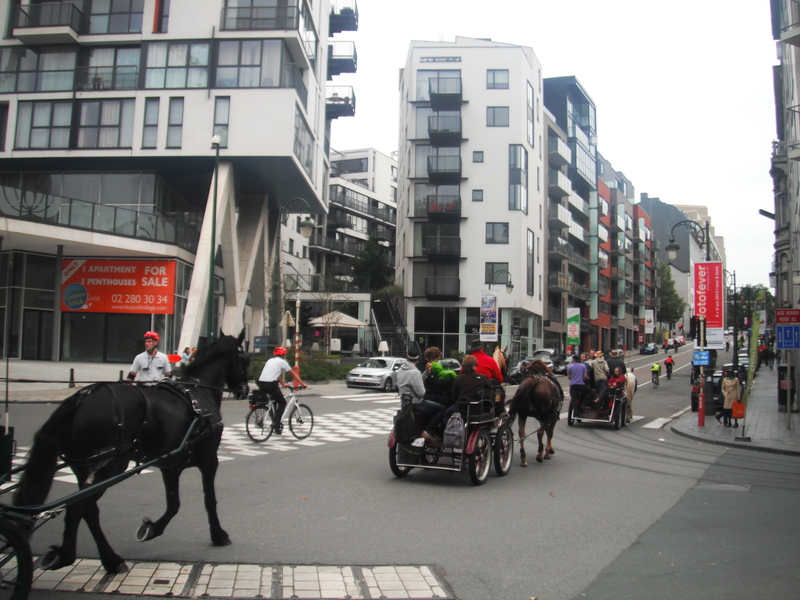 The Car Free Sunday is part of the European Week of Mobility (16 to 22 September). 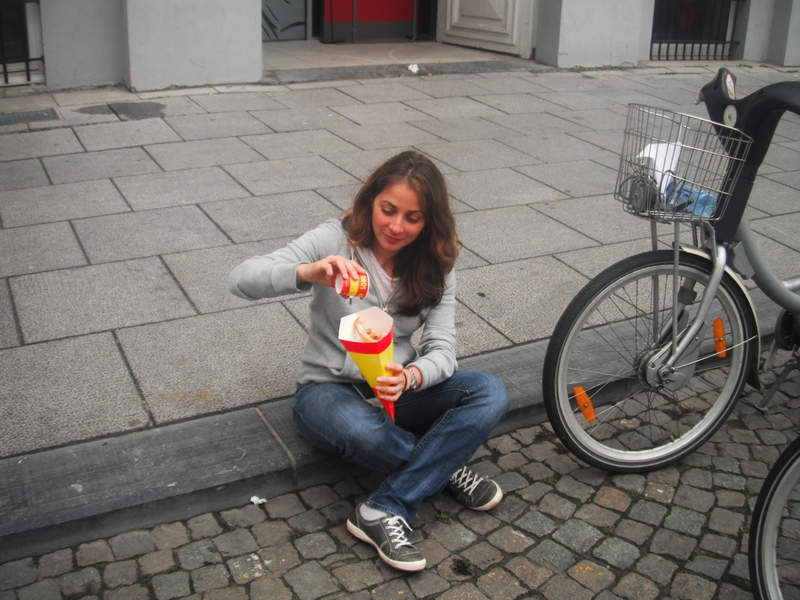 Tags: Belgium, Brussel, Centre for Fine Arts, Cycling, Grand Place, Parc du Cinquantenaire, Travel and Tourism, Villo. Bookmark the permalink. Not really. 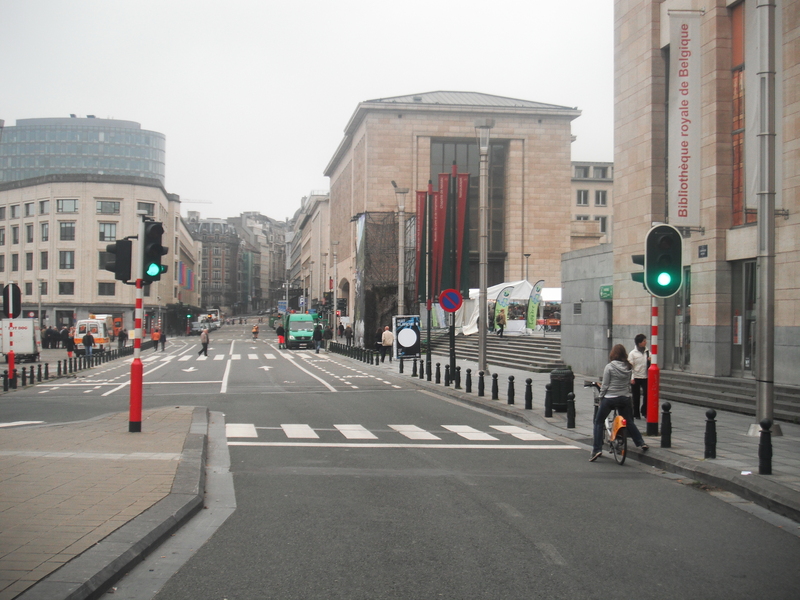 The conclusion is that Brussels is not easy to cycle in even without cars. This looks like so much fun. I am thinking of taking my daughter to Europe for spring break and this is on my list. Sounds like a great idea, Tim! Just keep in mind that the Netherlands is the cyclists’ heaven. 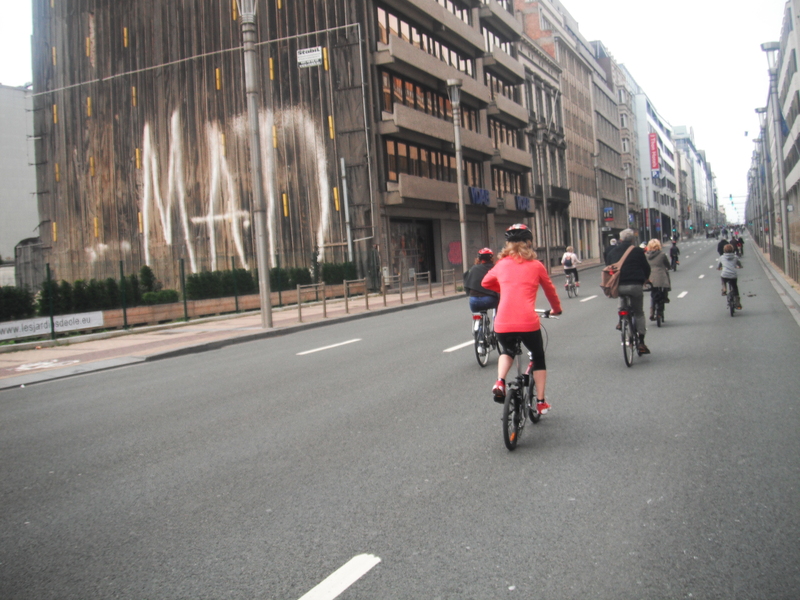 I would not recommend Brussels for cycling.